The Parent Teachers’ Association (PTA) is run jointly for parents and teachers of the Infant School and Widcombe CE Junior School. 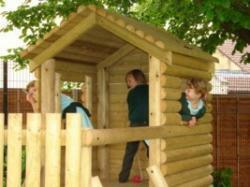 It works hard to help the school and extend the scope of it’s facilities across the curriculum. Working with parents is something all staff at Widcombe Infant School put a high value on and it is so essential in establishing a community school, as well as having a huge impact on our children. By parents and teachers working together, there is a shared understanding about the way the school works and why it works in this way. 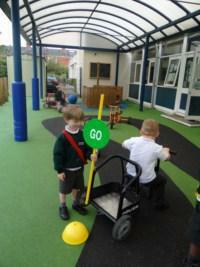 The communication between parents and staff shows the children we are working together and consistent in our approach. The PTA is one important way in which parents and staff work together and the PTA forms an essential part of our whole school community. In addition it provides a productive opportunity for Widcombe CE Junior School and Widcombe Infant School to work together. A wide range of events are organised by the PTA which are enjoyed by many members of the school community, including a quiz night, bedtime stories, summer fair, ice-cream sales, and Christmas and Easter competitions for the children. These events not only raise money for the school for extras, so enhancing all children’s education for which we are extremely grateful, but also provide social events for parents to meet and socialise with each other. We are fortunate to have a PTA which is a mixture of established members who provide experience, new members who offer new ideas and ventures, and parents, who though unable to attend PTA meetings, join groups to organise specific events. New members are always welcome and we very much look forward to working with you. The PTA has raised £6,990 for the Infant School during the last academic year and this money has gone towards our new School Website, extending Forest School resources, developing Library resources and to supplementing Arts Week through additional artists. The Arts is an important aspect of the learning experiences at Widcombe Infant School and the additional artists this money allows us to use in Arts Week is extremely beneficial, as well as enjoyable for all the children.